No! I didn’t say they got rid of The Game of Life! I said they zAPPed it, so kids can now enjoy a traditional game in a whole new way! Whether they’re played around the kitchen table, on the computer, or on a smart phone – there are many ways to enjoy the same classic games we enjoyed when we were growing up! Hasbro is announcing a whole new twits on traditional board games, zAPPed Gaming, which combines the fun of traditional face-to-face game play with the increased functionality of digital gaming for a brand new, innovative experience. 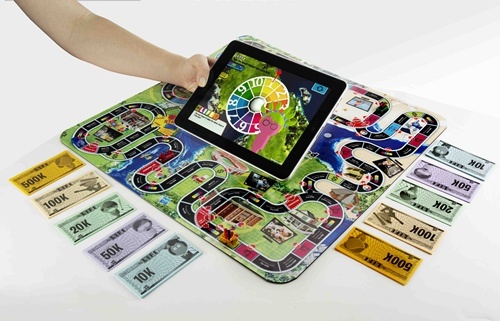 The newly released Game of Life zAPPed, brings the family-favorite game to life with the integration of an iPad. 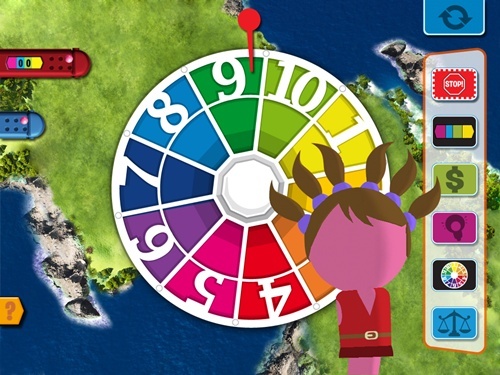 Simply cue up The Game Of Life zAPPed app on the iPad, place the iPad on the zAPPed game board, and watch as the technology of the app and the game pieces bring the game to life. and ToysRUs.com for $24.99 the game is also available at Toys “R” Us stores nationwide. The accompanying app is available as a free download in the App Store.